What it is: A set of two travel-size palettes containing eight eyeshadows and eight lip colors that are perfectly suited for a night out. What it does: This grab-and-go eyeshadow and lip set provides easy options to update your look on the go with blendable and buildable shades. Whether it’s a full eye look or a quick lip update, your new look fits in your pocket for a quick change. For eyes: Prime lids with Get A Grip Eyeshadow Primer. Use the Blurring Crease Brush to apply shadows to the lid and under the lash line for a smoky look. For lips: Use the Covered Lip Brush to evenly coat lips with lip color. I love these!! They are perfect for work and stay on all day! Awesome colors! Eyeshadows go on very well and stay on all day!!! Lip colors are beautiful with a lot of pigment so you only need a tiny drop. I love the way the eye shadow is easy to apply to a brush and my skin. I used the brows for my eye brows one day and it filled them in nicely without any fallout. Will buy this item again. Great eyeshadow colors and smooth application. Perfect travel size for on-the-go touch ups. Good shades for light brown eyes and olive complexion. Colors are beautiful on and look true to the color you see when you open the palette. 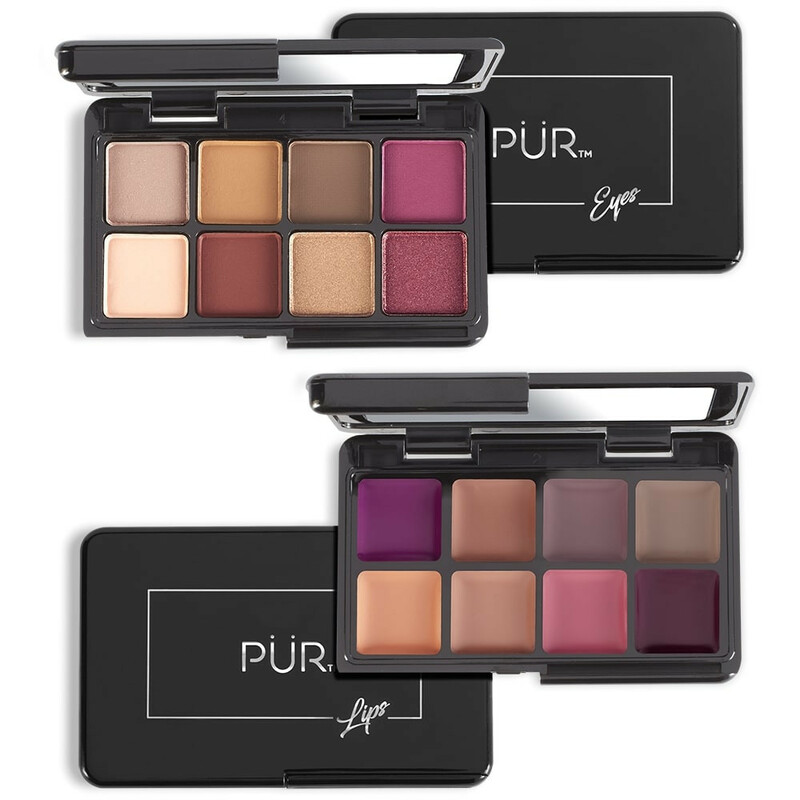 This is my first time trying PUR and the difference I find with other brands is that sometimes there is unexpected shimmer or gleam that shows up more intense when on the eyelids. Other brands make my eye look ashy, tired, and puffy because gleam doesn't reflect well. The mattes look soft and pop at the same time. The brown-red shade is awesome on the outter corners of my eye on the top and bottom. Sometimes I mix it with the medium brown shade above it. I smudge the dark brown like liner on my bottom lash after the red-brown shade. And then I pop one of the two lightest shades in my inner corners. I sometimes layer the gold on top outter corner sometimes. My small eyes look larger with no eyeliner. I also experiment with the other shades for more drama on other days. I really like it, I came here on the website so see if they sell the colors individually, but I don't see it. Couldn't Order Day Without Night. Again, adorable compact packaging that is great for on the go makeup where you don't want to lug around all your palettes. I knew these products would be a portable size but the palettes are so small! They are so small that they're difficult to open. I bought these as a gift for my sister-in-law for Christmas but they're so small that I might get her something else.